Location/Access: Conveniently located at Safra Jurong Clubhouse, across from Boon Lay MRT station (EW27, ten minute walk). Plenty of parking is available in the basement of the club, which is open to the public. Ambience:The dim, dark interior of the restaurant is perfect refuge from the blistering heat outside. The usual JP furnishings and table layout are rather welcoming and familiar to us. Very casual atmosphere. Menu: We ordered the tea-time combo specials (2.30pm to 5.30pm) which consisted of a main course (Seafood Baked Rice, Fish & Chips, Prawn & Chicken Spaghetti, Spaghetti Bolognaise or Beef Pie with Salad) and a drink (Orange juice, lime juice, ice lemon tea, mango-strawberry cooler, coffee or tea) at $11.80 or a dessert/snack item (choice of cake, Seafood Rings with Waffle Fries, Half-dozen Chicken Wings or Ham & Cheese Sandwich) with a drink for $7.80 . Good value when you're just feeling peckish. 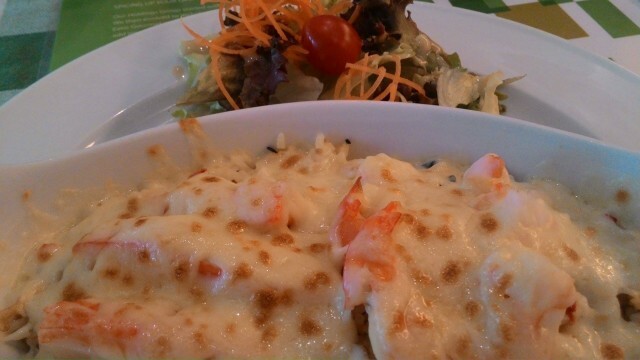 Food: The baked rice was a little portion (smaller than at other restaurants) and evidently "seafood" means surimi and thinly-sliced prawns. Disappointing. 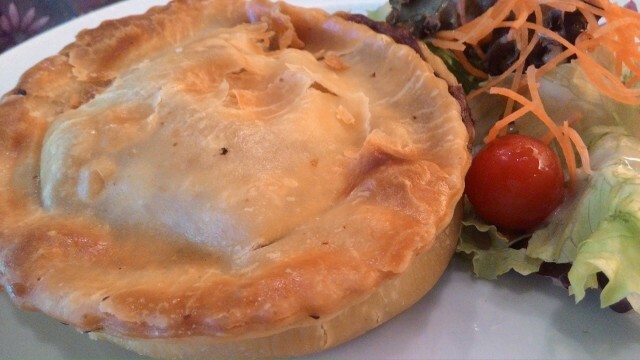 The beef pie was slightly better, with large flavourful chunks of juicy beef. Both tasted as if they were just heated in the microwave. 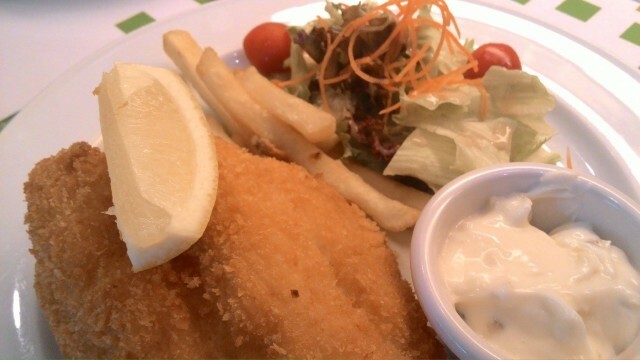 The fish and chips fared better, with a nice crisp on the flaky fish. Verdict: The lunch sets at Jack's Place are rather attractive, and off all the outlets we've visited, this would probably be the quietest we've visited, and would be a good choice to visit when in Jurong.